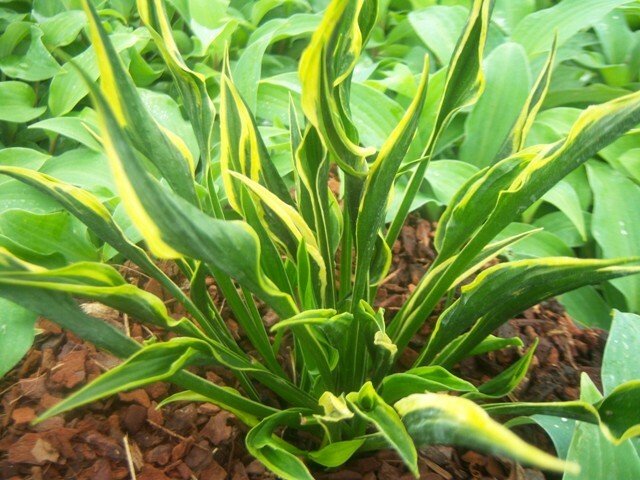 This is the tetraploid of Hosta 'Praying Hands', with a notably wider yellow edge to enhance the uniquely upright folded growth. The lavender flowers are also larger than H. 'Praying Hands', and clear to see against the twisted leaves. Bred by Marco Fransen in The Netherlands, this is a remarkably different hosta which will cause plenty of comment. Bowdens had the privilege of launching Hosta 'Hands Up' at the Chelsea Flower Show in 2011. Click the button below to add the Hands Up to your wish list.